Washers and Dryers and Bears, Oh My! First, thank you so much to Gary Vitacco-Robles for providing a lot of the following documentation. Your research, friendship, and dedication are greatly appreciated. For this post we’re going to have to refer to Sargent Jack Clemmons who states that when he came to Marilyn’s home, Eunice was doing the laundry. Specifically, washing sheets. Note that none of this is mentioned in the police report. Clemmons only started making the claim about the washer and dryer in 1982, well after Marilyn had passed. 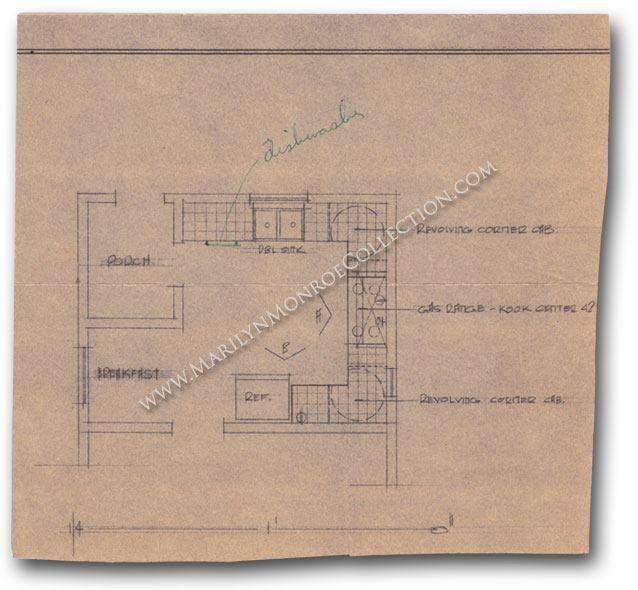 The above is a floor plan of Marilyn’s home. The arrow is pointing to wear Marilyn’s supposed washer and dryer were. 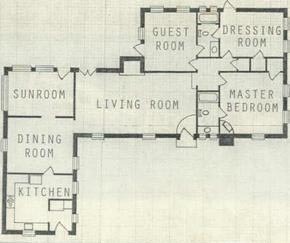 If we look at Marilyn’s remodeling plan we can see that that was not actually a washer and dryer. A washer and dryer are clearly marked with a “W” and a “D” on blueprints. Marilyn’s remodeling simply says “Porch”. A picture shows that there was some storage. 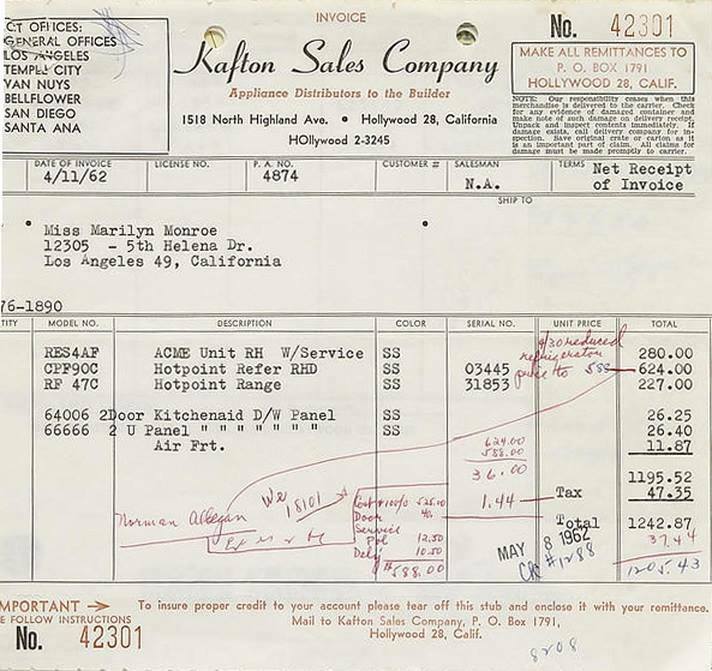 Marilyn purchased an ACME kitchenette in April of 1962 for use while she was remodeling her kitchen. 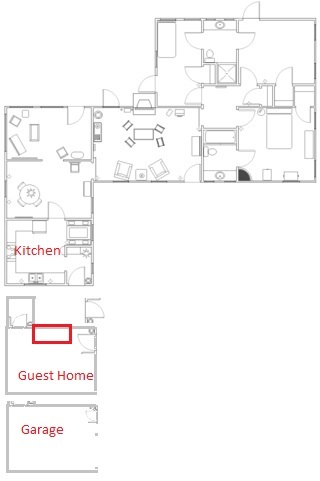 It is the red box in the blue print above. 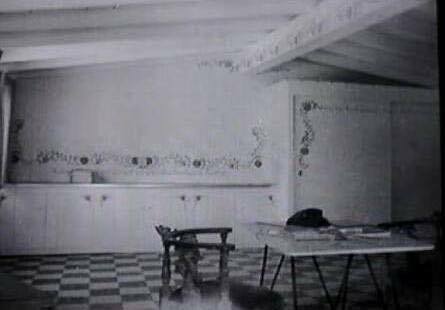 This photo is of the guest house and clearly shows that her kitchenette would have been on the opposite wall, next to a bathroom. Okay. . . So the layout is different than Clemmons remembered. She must have at least owned one. There is nothing to suggest that she ever owned a washer and dryer, especially during her final years. Creditors and receipts suggest she always sent her clothes out. The following is a list of creditors who made claims against her estate. Item 48 is B.J. Denihan Cleaners and Dryers. He was located at 215 E 64th Street on Manhattan’s Upper East Side. Her bill is $1,241.60 or $9,811.02 in 2015 dollars. Denihan is now a world renowned hospitality group. 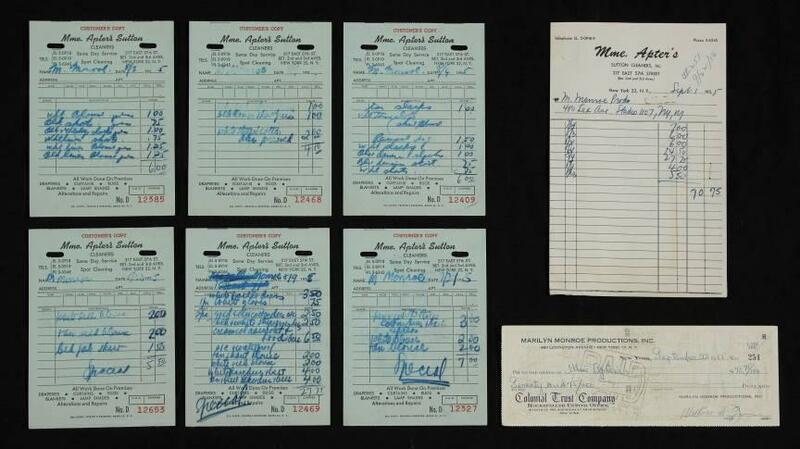 The above pictures are cleaner bills for Marilyn from July and August of 1955. 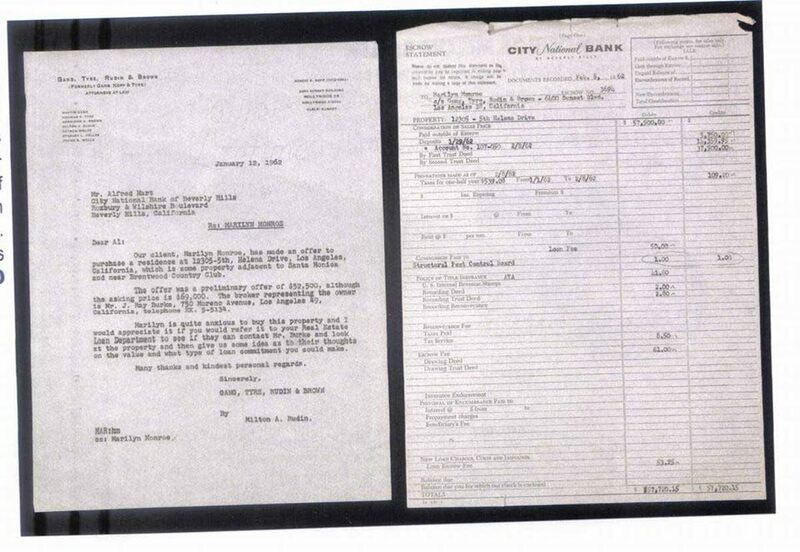 Milton Greene paid them with a check from Marilyn Monroe Productions on September 22, 1955. Okay…. 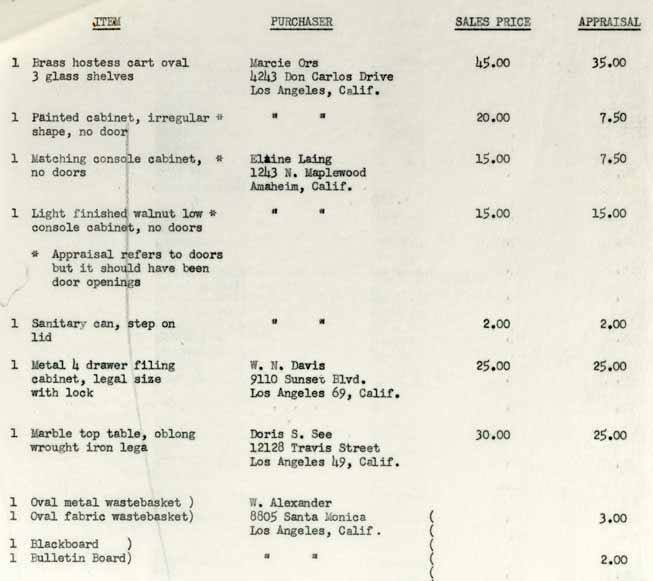 So Marilyn used cleaners…. Yes, and quite regularly. Which really doesn’t make sense if she had a washer and dryer. Which brings me to my last point. . . There is no documentation to support the existences of one. 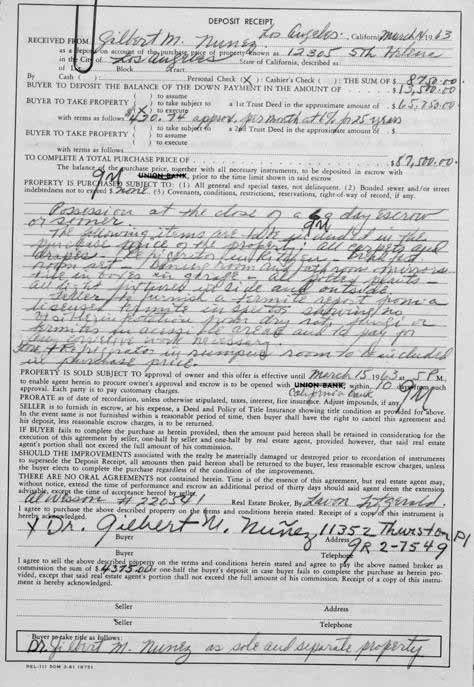 Marilyn’s sales documents mention no appliances in the home. 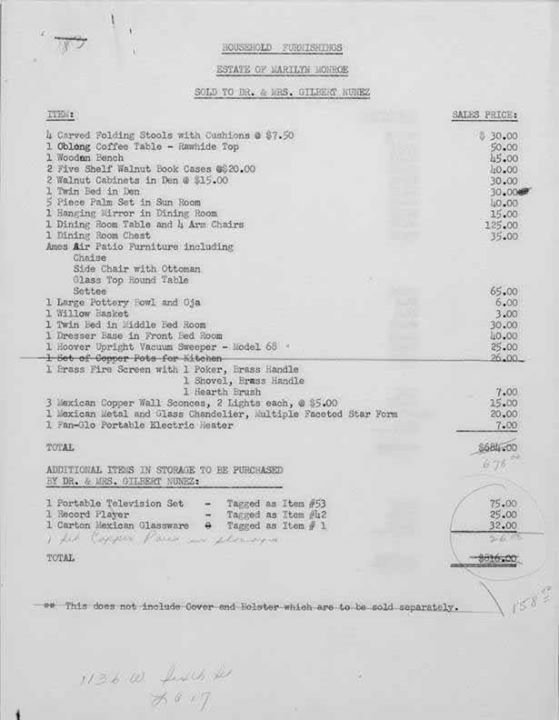 Sales document from the Nunez family. If you read the “included” list you will see a washer and dryer are not mentioned. What follows are detailed itemization lists which fail to mention a washer and dryer. 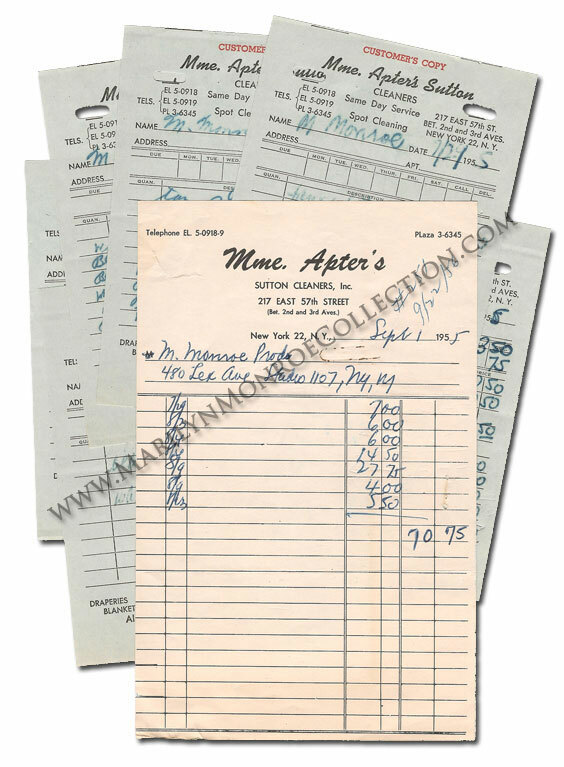 The final piece of the puzzle is this receipt. Marilyn went and bought appliances while remodeling. What did she buy? There is nothing to support Marilyn ever owning a washer and dryer. All of this started with Clemmons and has taken a life of it’s own. He most likely assumed that she would own a washer and dryer being she was such a big star. Instead, she sent her clothing out. With how many receipts, documents, and photos we have there should be some evidence of a washer and dryer.